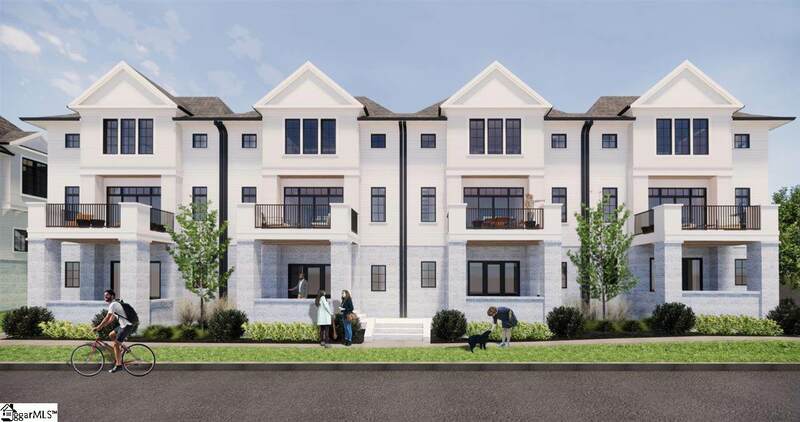 This THREE BEDROOM END UNIT (The Townes Plan) at Augusta Row Townhomes is one of 27 brand new luxury townhomes with private two car attached garage. Located one block from Augusta Road, three blocks to Fluor Field, three blocks to Swamp Rabbit Trail, and one block to County Squaresoon under development as the new heart of Greenvilles Downtown. 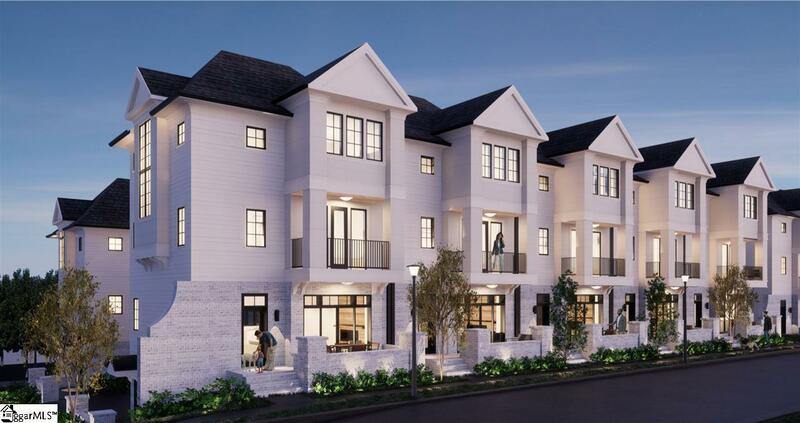 This three bedroom, 3.5 bathroom luxury townhome features 10 foot ceilings on the main floor, 9 foot ceilings on the second level, site finished hardwoods, a ventless fireplace, and optional upgrades of imported tile, reclaimed wood accents, and an elevator. 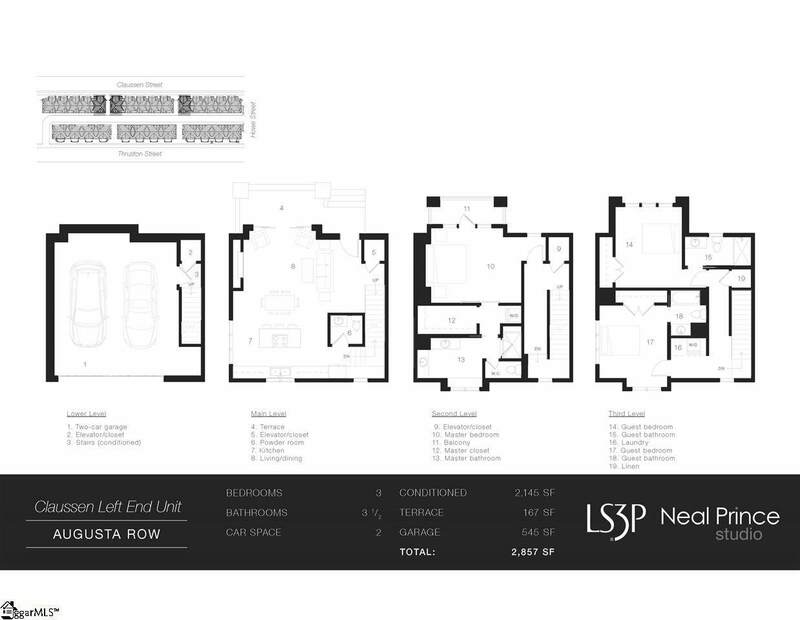 Modern, open living space including eat-in granite kitchen with stainless steel appliances. Spacious master suite with luxurious private bath and private master laundry. Luxurious interior that also includes a functional outdoor space, a main level patio perfect for entertaining, with gas hookup for grilling. Luxury, convenience and YOUR OWN PRIVATE TWO CAR GARAGE.